"What I Want Single/Ep" Reviewed by RadioIndy.com! The fantastic CD, “What I Want Ep,” by talented artist Jomo, is a compilation of brilliant Hip-Hop/Rap songs. Jomo has inventively spun an album that reflects his personal journey of life with sophisticated style and flair. The songs on this album have two versions, radio and dirty and both versions are equally great. 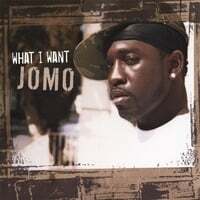 The title track, “What I Want (Radio),” has a sweet flowing groove that complements the smooth voice of Jomo as he Raps with a suave tonality. The song, “Wanna Be My Freak Feat. WhiteKeys (Radio),” has an interesting sound and rhythm and lets Jomo generate a grooving Rap tempo. This album is well produced and has an excellent dynamic balance. The synth sounds are rich in texture while the electronic drums set a tone to a dance floor beat. Fans of Hip-Hop/Rap don’t miss a chance to hear the songs on the album, “What I Want Ep,” as you will really appreciate the stylish grooves Jomo has to offer. New Mega Blast Promotion from RadioIndy! Songs and Tracks are a reflection of Jomo's Life during a certain period in his life.